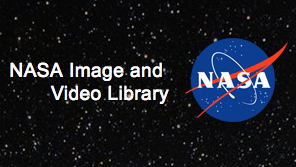 The NASA Image & Video Library Is Amazing! 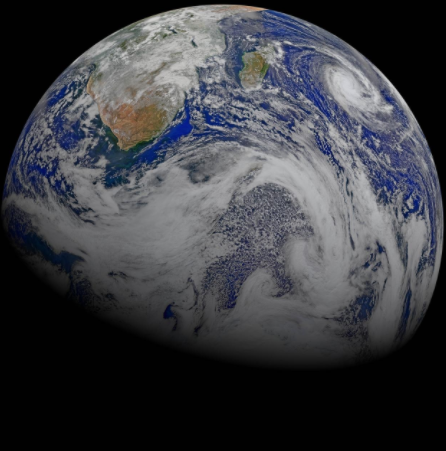 I was excited to read this news from NASA last week. The entire NASA collection of over 140,000 video, images and sounds are now available online in the NASA Image and Video Library. 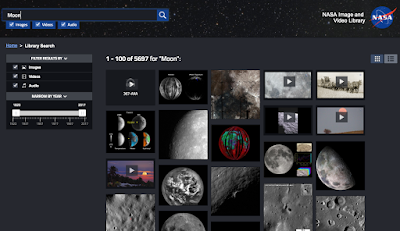 The images, video and audio are easily searchable. All of these images can be downloaded to use and are very easy to share in a variety of ways too. 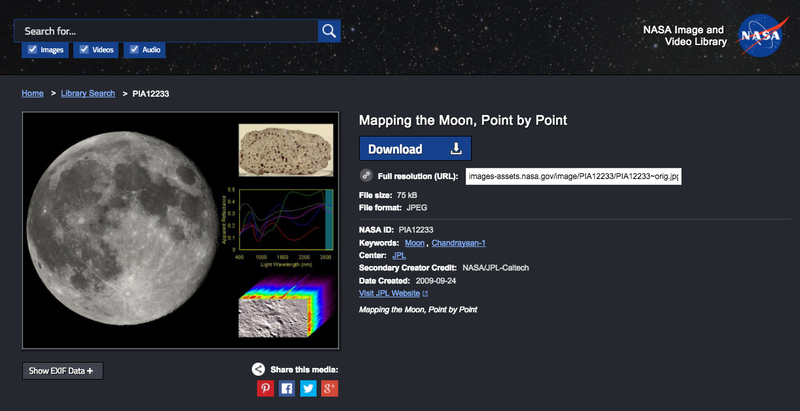 I loved looking through the NASA Image and Video library today. 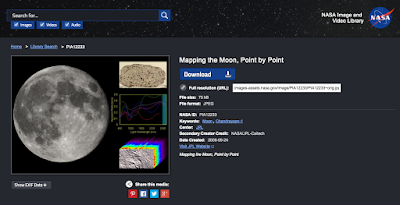 This will be a site and resource that your students and teachers will love browsing and using too. We create libraries that ignite creativity and curiosity; promote reading, collaboration and inquiry; and foster an amazing community that offers so much to our students, teachers and families while connecting to the world. 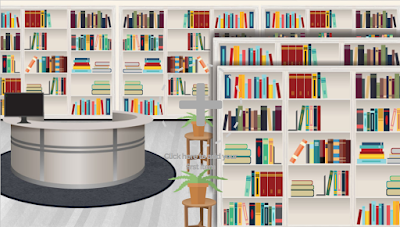 The virtual spaces we create are an essential piece of our libraries too. They hold a special place within our library and school too. 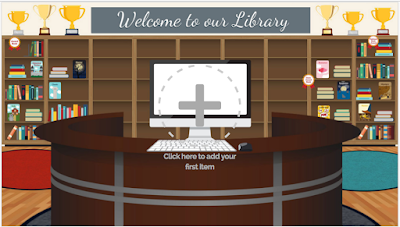 I love finding new ways to create these virtual library spaces. One that I have been experimenting with is by using Buncee to create this space. 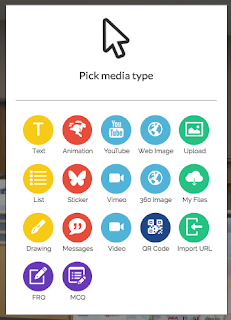 Buncee is an online creation and presentation tool that allows us to easily express, create and share our ideas. 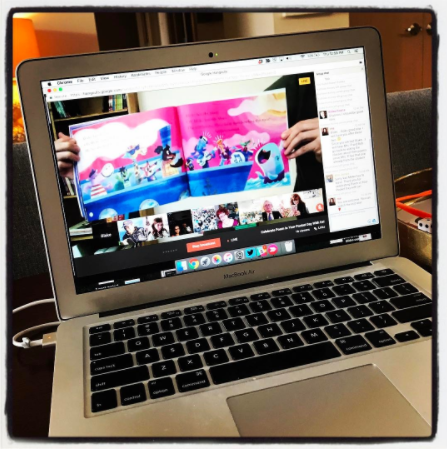 By using Buncee and adding elements from your library, community and the world, a powerful virtual space can be created. To start this brainstorming and experimenting, my friend Kelly, who is a teacher librarian in Waukee, Iowa, sent me a photograph of her library. 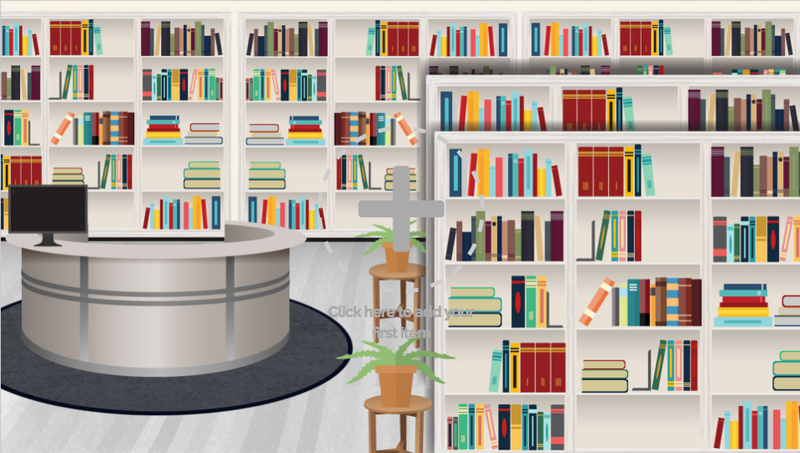 I asked her to take it of the circulation desk because I thought it would be neat to make the desk and the things around the library come to life by embedding things within the photograph using Buncee. First, I uploaded the photograph into Buncee. Then I started adding different Media Types. 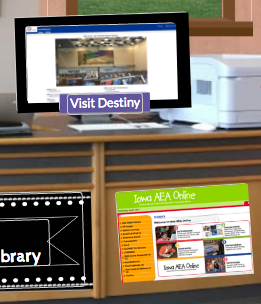 I took a picture of their Follett Destiny homepage and added it to the computer on the circulation desk. I added a little label of a purple rectangle with text over the top. I linked this image directly to their Destiny. 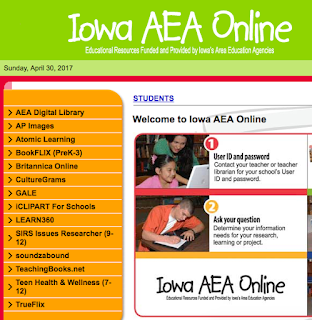 Below the circulation computer, there is a poster of the Iowa AEA Online resources. 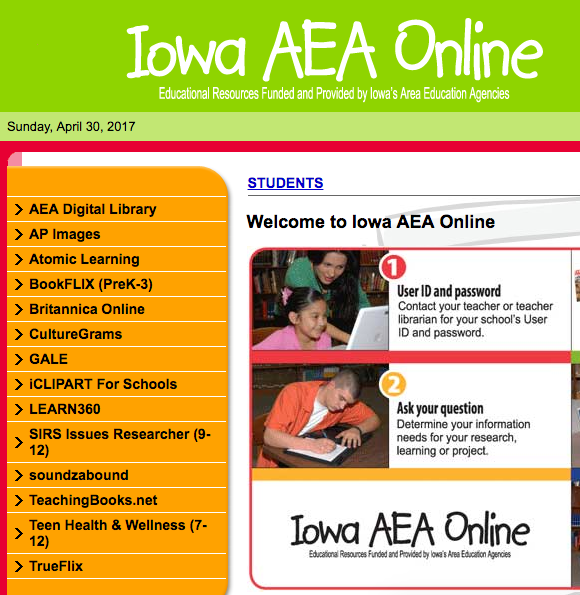 When they click on it, it will take them right to the website where they find all of the state online resources such as TeachingBooks.net. 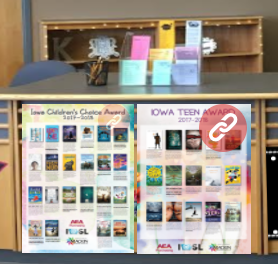 On the top of the desk, Kelly has several different bookmarks for the Iowa Book Awards. When they click on the poster for the Iowa Teen Award, it will go to the specifics of that award on the Iowa Association of School Librarians website. We wanted to add a few community elements to the Buncee too. 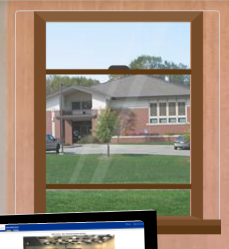 The Waukee Public Library is an important part of their community, so I uploaded a photo of the library and added a window sticker over the top. ...it will take them to the Waukee Public Library site. I can't wait to see the other elements Kelly adds to her Buncee to truly make her library come to life online too. My friend Elaine, who is a K-8 teacher librarian in Largo, Florida, created this awesome Buncee after I shared my idea with her too. I love all of the different things she added to her Buncee. 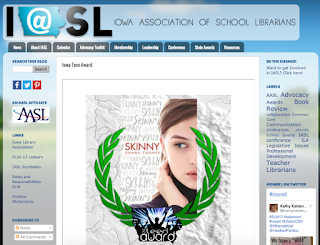 She added links for the library and school including Destiny, like Kelly did, along with websites, book awards, Florida Electronic Library and Library of Congress. Her students will love this virtual space and will be able to connect at school, home and anywhere they are online. This will also be very helpful to teachers, families and others wanting to connect to the library too. 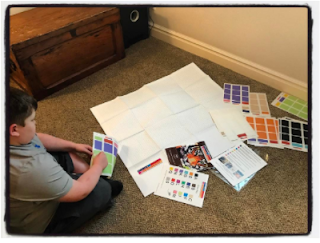 add one of several background that Meagan at Buncee created for us to use. You will find these two and several others under Libraries in the Backgrounds category within Buncee. 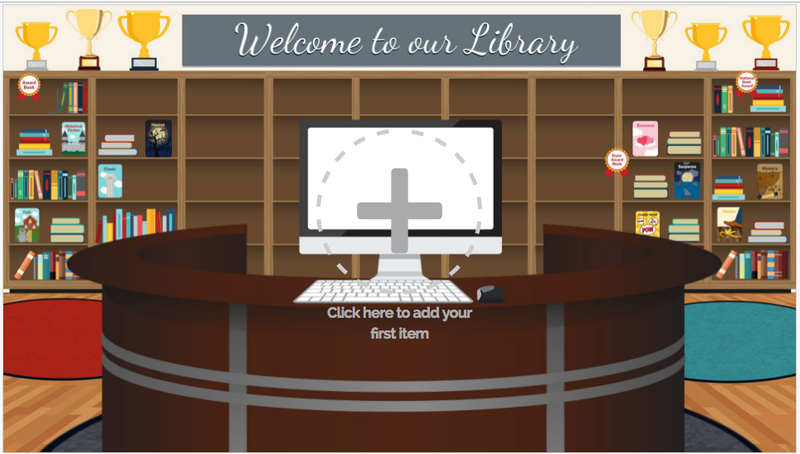 As you start building your library space in Buncee, you will find so many fun assets to use and make your library come to life online. Our virtual library made a difference and impact on our students and community. It kept us connected to the library resources, to each other and to the world. I can't wait to see the space you create to make a difference too. Our Poem In Your Pocket Day celebration this year was extra special. You can read all about it here. Since our Poem In Your Pocket Day was on Google Hangout Live, we were able to invite others from around the world to join our celebration. 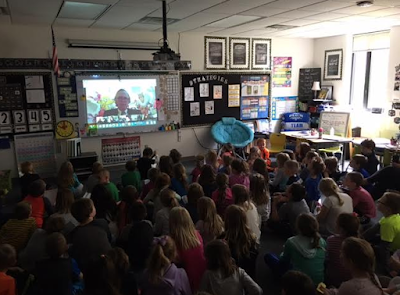 We had five schools live and others could join by watching the live video. 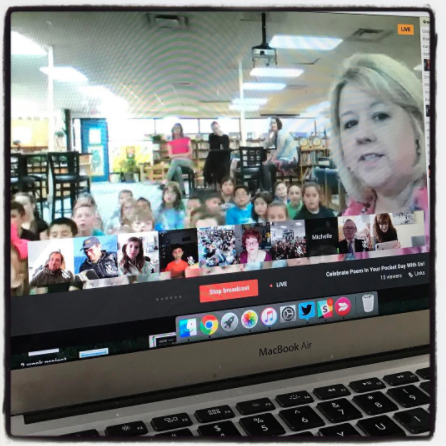 My friend Linda Waskow, who is the media technology specialist at Beaufort Elementary School, joined us at the shared live video link. 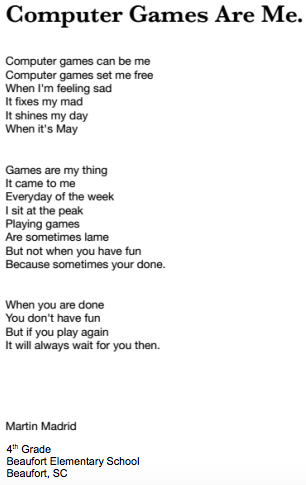 Earlier in the day, she sent me a poem that one of her students wrote for his pocket poem. I asked Mrs. P to read it. It was wonderful to hear Martin's poem and especially special to hear from Linda how much it meant to Martin and his classmates during the event. The video above is a clip from this part of the celebration. They posted it on their school Facebook page today. What terrific news! I am so excited for Linda and her school. I am thrilled that this was the ice breaker for them. 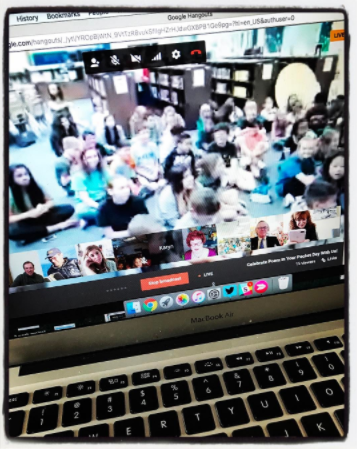 This event, like so many, show that all it takes a little thinking outside of the box to make things happen, to make our students voices be heard in different ways throughout the world. 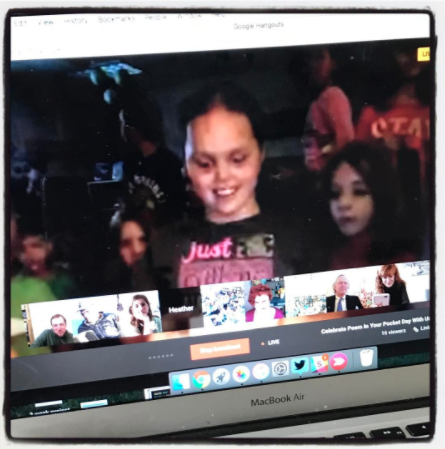 This moment, through an online connection, with schools in Iowa, Texas and Washington, made a difference in Martin's life and that of his classmates. The voice that not only this event gave him, but the voice that poetry gave him too. And in Linda's, as a teacher librarian and one who wants to charge ahead even more as a future ready librarian within her school and community. 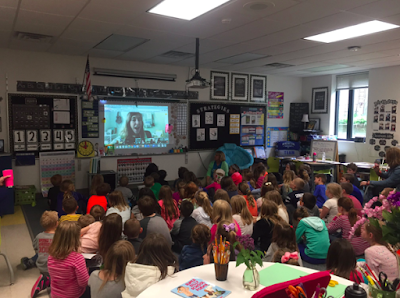 I encourage all of you to look for these moments, these special connections and ways to make a difference in the lives of our students that are a little different than before. 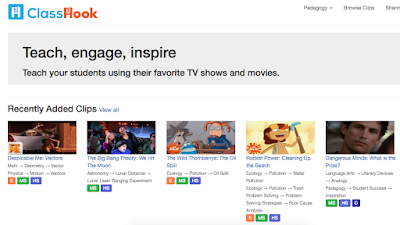 ClassHook...The BEST Place To Find Popular Movie And TV Media Clips! I love using media clips with young people and in presentations. 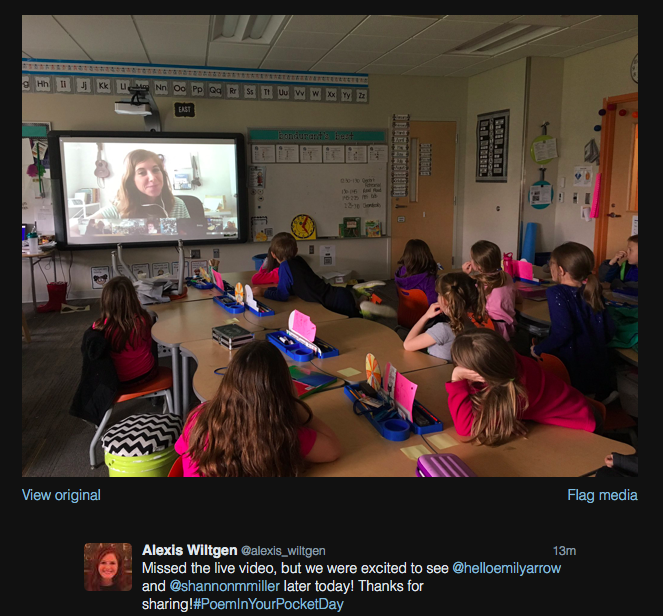 It is a way to engage our learners and draw them into something special they recognize and find inspiring. Teach, Engage, Inspire and we will do just that by using favorite movies and TV shows in teaching our students. 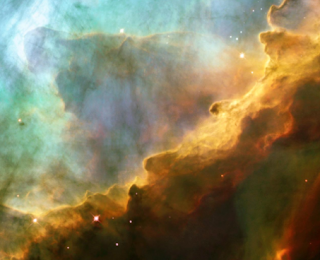 TV shows and movies often contain scenes that discuss topics such as Science, Math, Art, Music, and more. While funny and amusing, these scenes also have valid educational merit. Such scenes not only teach students but also make learning more relevant. Students can associate a concept in class to an image they see in their everyday lives. 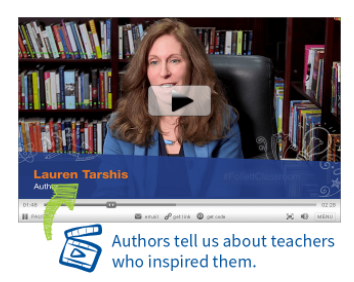 Bringing television shows and movies to your classroom helps connect students' personal lives to the concepts they are learning in class. As a result, content retention increases, and learning becomes more fun. 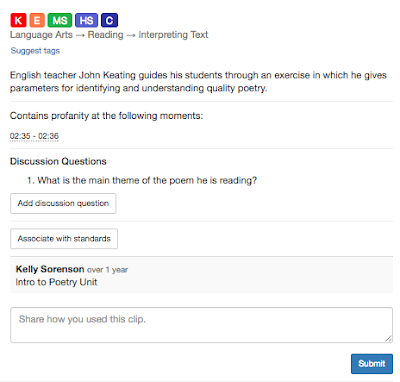 From the minute I started looking around ClassHook, I knew I would be hooked too! What do you want to teach? 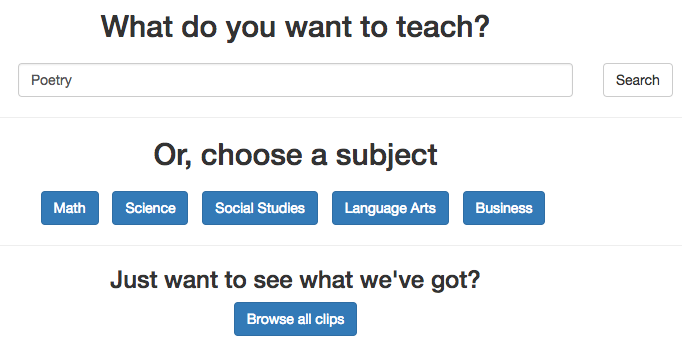 or Choose a subject. 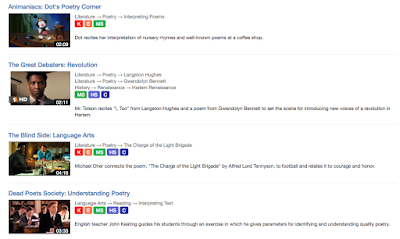 Since we are celebrating Poetry Month, I decided to search Poetry..
My search gave me 6 results and at the top of the screen I can Refine My Search even more. 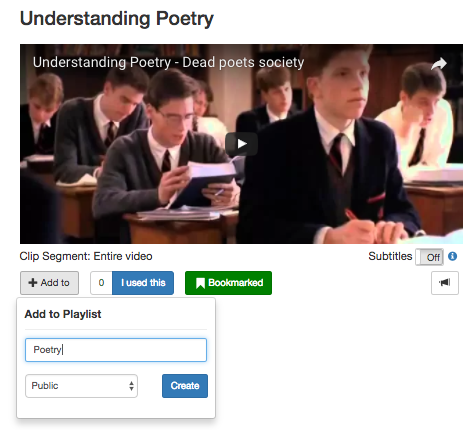 Understanding Poetry from Dead Poets Society. 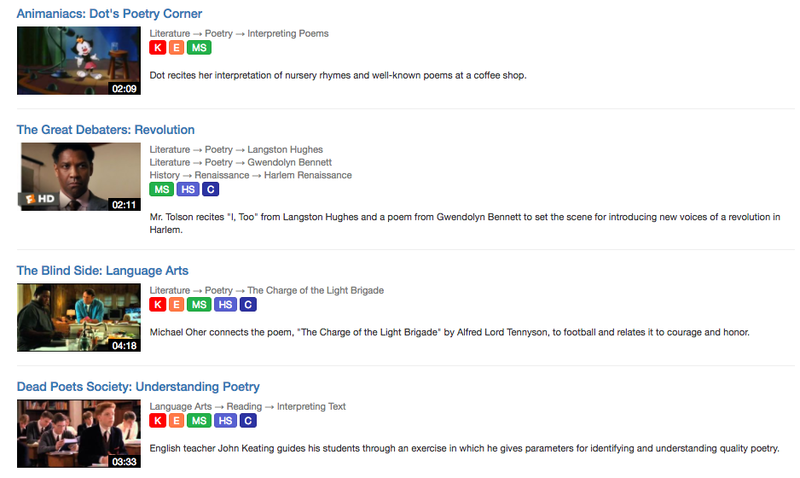 From this page, there are a lot of different settings which turns ClassHook into an essential tool for any library or classroom. You can Add To Playlist that you create, making it Public or Private. You can also Bookmark the video and give feedback on Using the clip. It also allows you to turn the Subtitles off. There is a little loud speaker right under the clip. 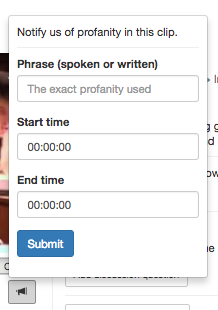 This is to Notify us of profanity in this clip, which is super helpful when using media clips with different age groups. Each video is also Tagged to the different age groups and subjects it falls into. You can suggest tags too. 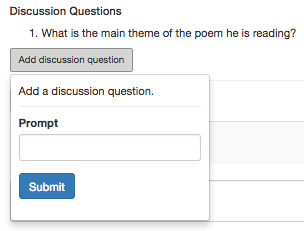 One of my favorite features of ClassHook is the ability to Add Discussion Questions to any clip. 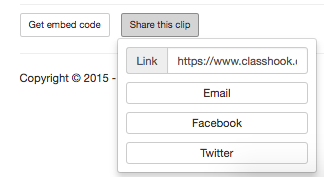 Underneath the entire clip, you will find the Embed Code and several ways to Share This Clip. within this post. It looks perfect! We're an incredibly friendly team, so don't hesitate to drop us a note for any reason. We'd love to hear from you! Our grand vision is to develop a more knowledgeable society by best utilizing the time spent in class. Imagine if every student learned one new fact in every single class as a result of paying more attention throughout their schooling. They'll have learned so much more! 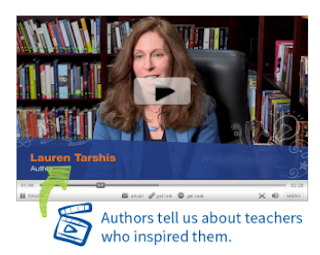 Many of our clips are vetted by teachers through our Clip Vetter Program. We actively maintain our library of clips and replace any broken links. This means that a link to a clip on ClassHook is more reliable than a link to a clip on YouTube. When a YouTube clip goes down, it's gone. When we notice a broken link on ClassHook, we make our best effort to replace it, sometimes spending over an hour to find a replacement. 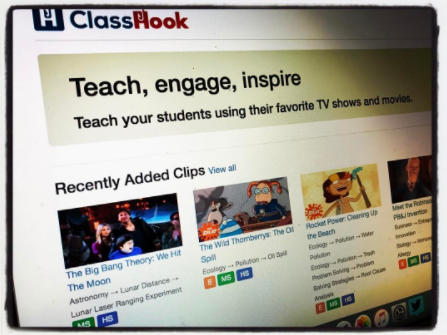 Bringing television shows and movies to your classroom helps connect students' personal lives to the concepts they are learning in class. As a result, content retention increases, and learning becomes more fun. I think we can all agree with that. And after you spend time on ClassHook you will agree, it is the BEST place to find educational clips from popular TV shows and movies too! You can find ClassHook here. Flash Sale Today On StickTogether...Perfect For Our Libraries and Makerspaces! 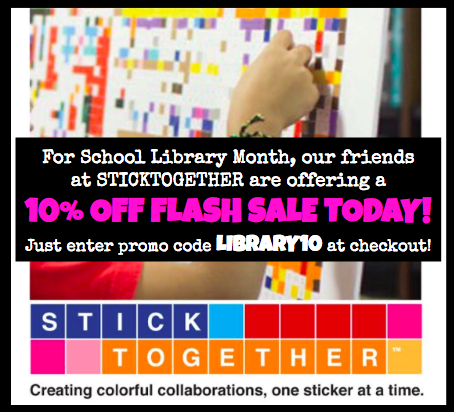 Our friends at StickTogether are offering a 10% flash sale today in celebration of School Library Month. The promo code at checkout is LIBRARY10 and the discount is for all orders (excluding the core collection bundle which is already discounted). It will expire at the end of the day. 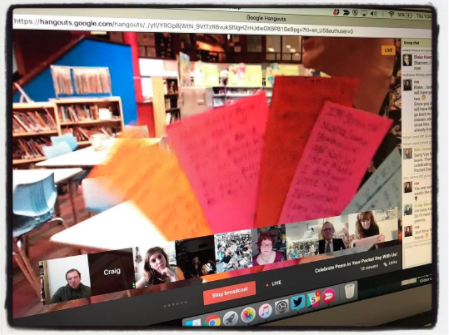 To read more about StickTogether, please visit my post Let's All StickTogether With This Special Colorful, Collaborative, Community-Building Activity! Celebrating YOU During Teacher Appreciation Week! Next week, May 1-5, is Teacher Appreciation Week. This is a wonderful time to celebrate all of the amazing things that teachers do for their students, others within the building and families. Teachers make a difference every single day. Follett has something very special to show appreciation for teachers. They are giving away tools to support different parts of the classroom and teaching every day throughout the week of May 1-5. 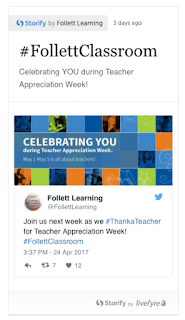 All you have to do to enter is use #FollettClassroom on social media during this week. You are entered to win a daily giveaway by using the hashtag each day. Check out the prizes and official rules here. 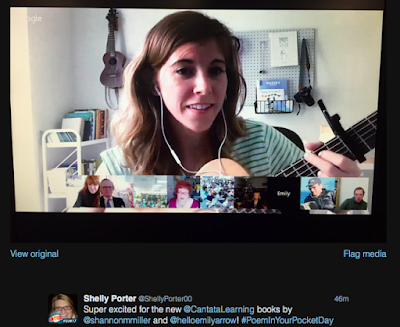 We can't wait to read the stories you post on Twitter and Facebook using #FollettClassroom. Happy Teacher Appreciation Week to all of the terrific teachers out there. Thank you for everything you do....you deserve a week of celebrations! What A Fun Poem In Your Pocket Day Celebration! You Can Watch & Have Fun Too! 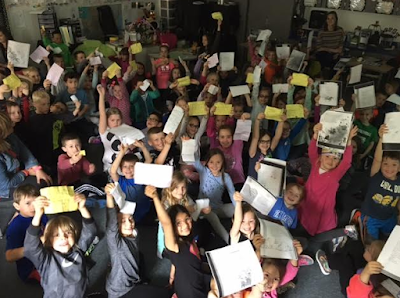 It is Poem In Your Pocket Day and we had a very special celebration this afternoon I want to share. Four libraries and their librarians and teachers came together to celebrate using Google Hangout Live. 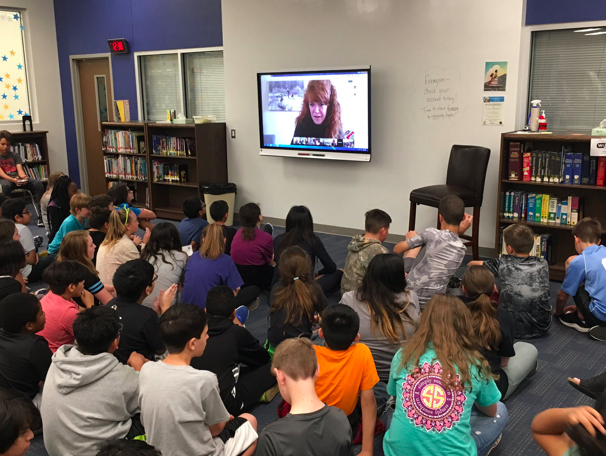 Our group included teachers librarians Craig Seasholes in Washington; Heather Fox and Kim James, in Iowa; and Michelle Griffith and Karyn Lewis in Texas....along with wonderful teachers and lots of awesome kids! 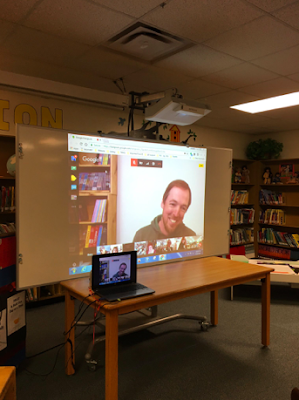 But the SUPER cool thing....Because it was a GHO Live we were able to share the link so other schools and libraries could watch around the world! 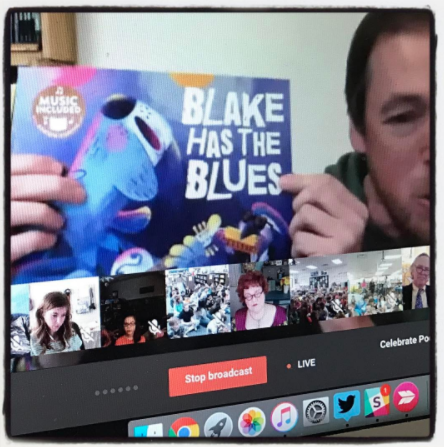 To make this Poem In Your Pocket Day even more special we were joined by Emily Arrow, Robert Forbes, Blake Hoena from Cantata Learning and Mrs. P to sing, share stories and poetry. We had so much fun creating, reading and listening to the poems in the pockets from the students too. 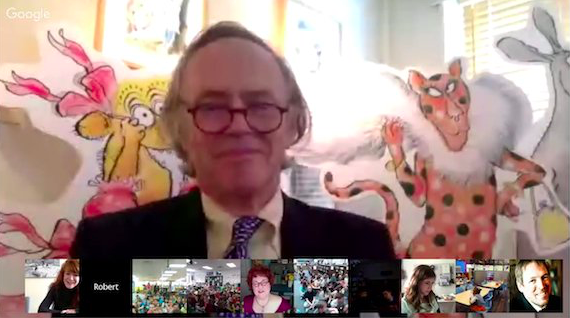 You will find the recording of our Live Google Hangout in the Buncee above. Feel free to watch with your students and share too. Here are a few of the pictures that we took and shared of our time together. I will keep adding them here so please share too. Thank you friends. You always make this one of the best days of the year! And I loved it at the end when Emily sang Find A Book, one of the Cantata Learning Library Skills titles which are available August 1, 2017. I wrote these four books and Emily arranged and produced the music. 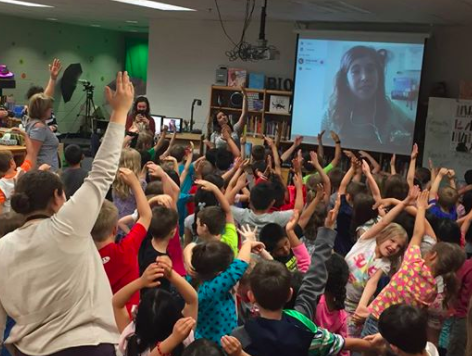 It was so much fun singing along with all of the students in their libraries. 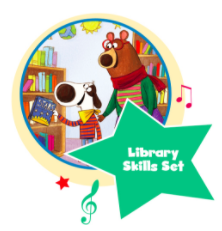 You can listen and sing along to Find A Book and all four of the Library Skills Set here on the Cantata Learning site. 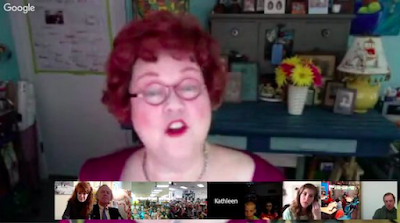 And remember...if you missed todays LIVE event, you can watch it with your kids later too. Thank you Alexis for sharing this with us....we love seeing you and your kids having fun with us. We hope you all had a fun day celebrating Poem In Your Pocket Day too! 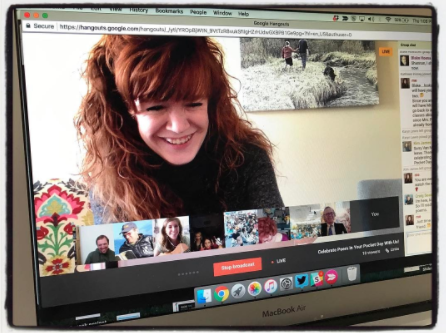 Welcome 23 New Flipgrid Ambassadors! Come Get Your Library Skills Poster! AutoDraw...A Fun New Way To Draw From Google! Cantata Learning LOVES Libraries and Librarians! Lots Of FREE Apps From PBS Kids!